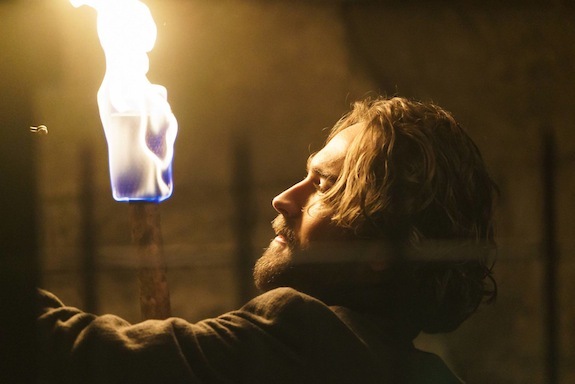 Former SLEEPY HOLLOW star Tom Mison has joined the Hulu adaptation of FOUR WEDDINGS AND A FUNERAL, the streaming platform confirmed. Details of Mison’s role are being kept quiet, but he’ll guest star as Quentin in the limited series. (Mison’s casting was first reported by Tom-Mison.com.) He joins previously announced FOUR WEDDINGS AND A FUNERAL stars Jessica Williams, Nikesh Patel, Rebecca Rittenhouse, and John Reynolds. The romantic comedy, which is inspired by the 1994 film of the same name, is being penned by THE MINDY PROJECT’s Mindy Kaling and Matt Warburton. 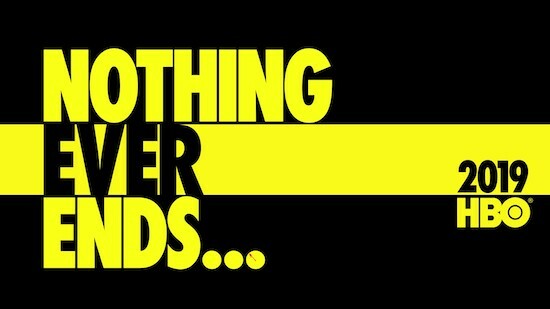 WATCHMEN is officially coming to television: HBO has ordered the reimagining of the classic graphic novel to series. Things have changed since we last saw the SLEEPY HOLLOW folks. When season 3 kicks off, it’s nearly a year after the second season finale — which also saw the exit of a few key faces — and some new faces have joined the mix. And for our two Witnesses, an important question will be explored: “I think the question is who are Crane and Abbie without each other, and who are they together?” SLEEPY HOLLOW co-creator Alex Kurtzman shared. Comments Off on GMMR TV Awards: We’re Preemptively Sorry You Got Robbed of an Emmy Nod (Male) – Vote Now! Comments Off on GMMR TV Awards: Favorite Actor (Drama) – Vote Now! While we’re still months out from SLEEPY HOLLOW returning to our television screens, the writers are currently hard at work crafting the upcoming third season. 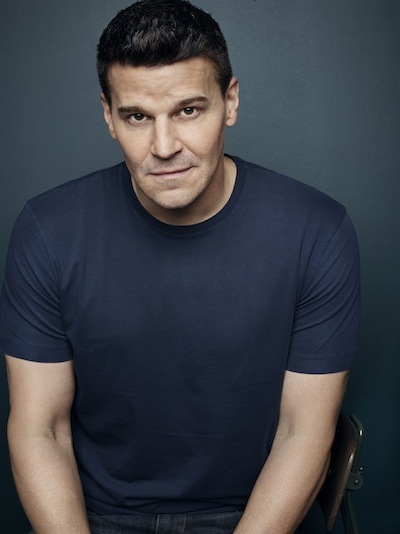 And though the second season went through a few rough spots, the writers are aiming to go back to what worked, versus trying to completely reinvent the show. Though there were indications earlier this year SLEEPY HOLLOW might end up more episodic, Kadin indicated there shouldn’t be any sort of drastic shift coming. It’s been a month since SLEEPY HOLLOW ended its second season, and in that time, the show has been renewed for a third season and nabbed a new showrunner. 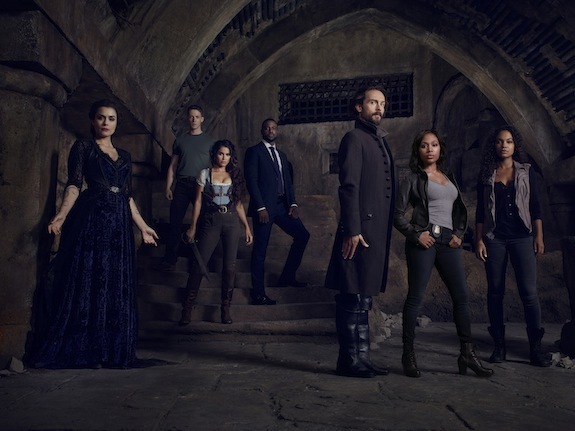 While the show’s renewal was in jeopardy, fans rallied to support it, including pushing the hashtag #RenewSleepyHollow on Twitter — a fact that was noticed by Mison. SLEEPY HOLLOW — which had one of the best/most deliciously twisty season finales with last year’s “Bad Blood” — has set up quite the season-ender for its sophomore year: fresh off Henry’s death, a heartbroken (and very angry) Katrina cast a spell allowing her to return to 1781 via a portal, and she intends to rewrite the past and let Ichabod die…in the hopes that she’d be able to raise her son. Unfortunately for Katrina, Abbie’s attempt to stop her led to Abbie going back into 1781 (and where she promptly landed in jail, because she didn’t have her papers which acknowledged her freedom). 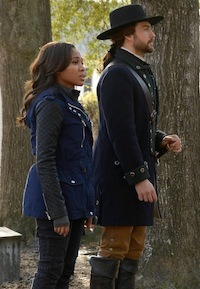 And while time travel elements were a part of SLEEPY HOLLOW’s DNA from the start (after all, Ichabod was from the past, and woke up in 2013), star Tom Mison (Ichabod) admittedly he had his hesitations initially when he heard about two characters going back in time for the season finale — until he heard what the plan was. SLEEPY HOLLOW has put Ichabod Crane through a number of things as he’s struggled to adapt to the modern time, but he’ll face a doozy in the next new episode, “Kali Yuga”: karaoke. And while Ichabod might have some fun with his karaoke adventure, things are considerably more tense at home: as Ichabod and Katrina struggle to figure out where their marriage stands, the odds appear increasingly stacked against them. SLEEPY HOLLOW’s Ichabod Crane has learned many new things since he woke up in 2013, but in Monday’s new episode, he’s tackling one of his biggest tasks yet: learning how to drive. Last season, the SLEEPY HOLLOW gang formed the “ultimate collection of underdogs,” but this season things are different: Irving is in jail, Katrina is with Headless, and Henry is pretty freaking evil. Of course, Henry’s evilness is complicated. As viewers (and Katrina and Ichabod) found out in the final moments of season 1, Henry revealed himself to be Jeremy, the Cranes’ presumed-dead son. And because of that deception, Ichabod and Henry/Jeremy will have very little face-to-face time in the earlier part of the show’s second season.